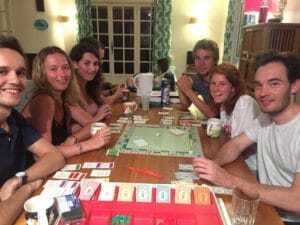 This week we’ll start a series of articles based on theme : What to do in Anglet during a rainy day ? I know, as surprising as it might be, it happens to rain in the Basque Country 😉 If not, how do you expect the countryside to be so green and magnificent ? But no worries: as you’ll see during this series of articles, there are tons of things to do around ! For those of you made of… chocolate ! Or you can try a Mario Kart race with the most advanced console (especially in the 90’s 😉 ) : Nintendo Super NES ! For those of you who ARE NOT made of chocolate, you can try to visit… the Chocolate Museum ! Located in Biarritz, Planète Musée du Chocolat benefits from Bayonne‘s reputation as being chocolate capital of France to bring you in a tour to discover all about chocolate. The Cité de l’Océan tells you all you have ever wanted to know about waves : how they are created, how they move, why you’ve got gigantic ones and tiny ones, etc. You’ve got to see an astonishing 3D movie about submarine life directed by Michel Cousteau (son of famous sea explorer Jacques-Yves Cousteau). 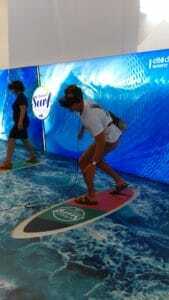 Like our friend Ben, try the virtual surf experience ! 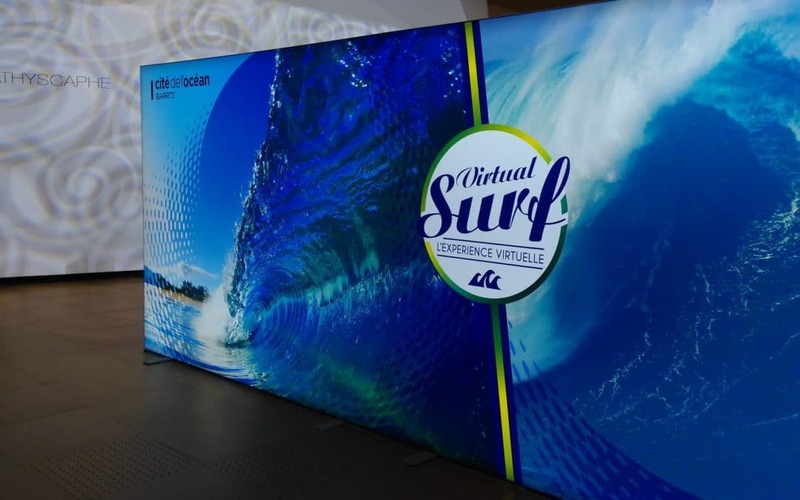 They give you a virtual reality mask, put you on a surf board, and here it goes: you get in the most famous waves in the world, trying to surf big barrels by moving your shoulders and your entire body leaning forward or backward. The experience is pretty amazing ! What did we think about it ? Let’s say that the Cité de l’Océan is the kind of modern museum where there’s not really any specific tour: you’re passing through the rooms and find out about new experiences. Some might think it’s getting a bit in every direction. From our point of view, we sometimes regretted a lack of instructions. For those of you who are really interested in the Oceans, it is a real gem: you can even buy a special ticket for a 2-day entrance ! The Cité de l’Océan is also the place where you have every Thursday night during summer a series of outdoor movies/performances. You can picnic and enjoy the show on deckchairs. This is where we’ve seen the beautiful Odisea last year. How to get there from Nami House? The best option is to take the bus n°10 from « La Chapelle » bus stop in the direction of “Biarritz Gare”. There is a dedicated stop “Cité de l’Océan”. And if you get there, don’t forget to let a comment on our blog to share your thoughts about virtual surf experience and more ! See you soon at Nami House !